You must make reservations at least 5 minutes in advance of the time at Osprey Point Restaurant. 12 car parking lot in front of Restaurant/Inn. Large parking lot within close proximity to Restaurant/Inn. Seasonal public transportation Friday, Saturday and Sunday (Memorial Day through Labor Day). Check out our website for happy hour, wine tastings and live entertainment schedules! Osprey Point is available for off premise catering on the Eastern Shore. Let us bring Osprey Point to you! You will work one-on-one with our event coordinator and Chef to create a delicious menu for your special event. Osprey Point is a premier wedding and events venue on the Eastern Shore. Located on the waters of Swan Creek, we can offer events up to 200 people. From lavish tented weddings to anniversary dinners, Osprey Point can create a custom menu that fits all your needs and wants. Contact us today for our special events package! 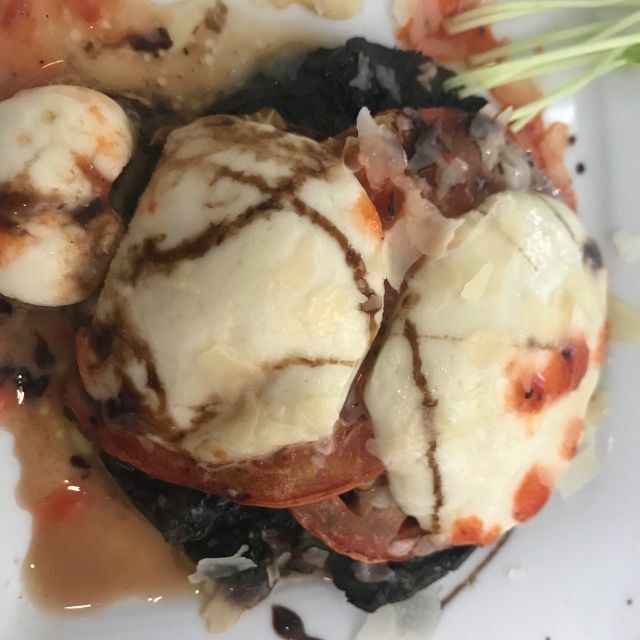 Our fine dining restaurant has a reputation for being one of the best in Kent County. We pride ourselves on having a fresh seasonal menu, high quality ingredients and a chef that puts care into preparing every meal. The dining room's casual elegance will make you feel at home whether you are stepping off the dock or celebrating that special occasion. Please stop in for a drink and hors d'oeuvres at the bar or make a reservation for dinner. We welcome transient boaters throughout the season and offer free dockage while dining in our restaurant. Wakame, Pickled Ginger, Cucumbers, Carrots, Honey – Garlic Wasabi Aioli, Thai Chili Dipping Sauce. Cheese Curds, Duck Demi Glace, Cremini Mushroom. Mixed Field Greens, Carrot, Red Onion, Tomatoes, Cucumber, Croutons. Choice of Dressing. Romaine Hearts, Herb Croutons, Shaved Parmesan. Grapes, Apples, Walnuts, Honey – Lemon – Poppy Seed Dressing. Cheddar Cheese, Bacon, Lettuce, Tomato, Red Onion. Bacon, Mayonnaise, Lettuce, Tomato Onion. Old Bay Aioli, Lettuce, Tomato. Lemon-Old Bay Aioli, Rice Pilaf, Grilled Asparagus. Lemon Roasted Garlic Butter, Au Gratin Potatoes, Roasted Baby Carrots. Root Vegetable Jus, Garlic – Chive Mashed Potatoes, Sautéed Mustard Greens. Port Wine Demi-Glace, Fingerling Potatoes, Roasted Vegetables. Charred Cauliflower Puree, Brown Butter, Sautéed Carrots and Broccoli. Sautéed Jumbo Shrimp, Andouille Sausage, Peppers, Onions, Tomatoes, Pan Roasted Pork Belly, Sharp Cheddar Grits. Cracked Pepper – Apricot Glaze, Long Grain Wild Rice, Steamed Broccoli. Baked Potato, Sautéed Mixed Vegetables. Osprey Point is located in an attractive building that is part of the Inn and Marina. It has a solid menu and the service was efficient. We were there early, so the restaurant wasn't very crowded, but I believe that it would still be fairly quiet even when full. Dinner was excellent. 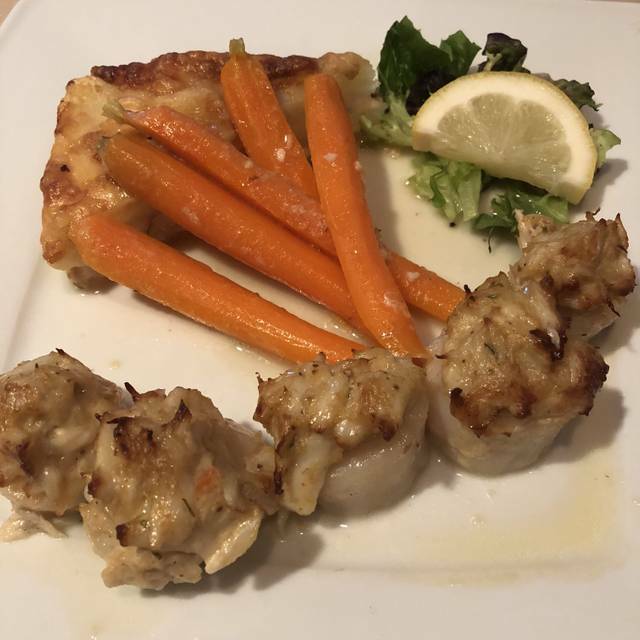 I had delicious scallops wrapped in bacon and my friend had crabcakes, all crab. The ambiance was just right, not too fancy, but not too casual. Service was great. Highly recommend. Nice setting. Food was okay; not great. The Maryland Crab soup was very good. The duck was not - boring. The creme brulee was soupy. Dessert took too long to get. The atmosphere is welcoming and attractive, and the service attentive. 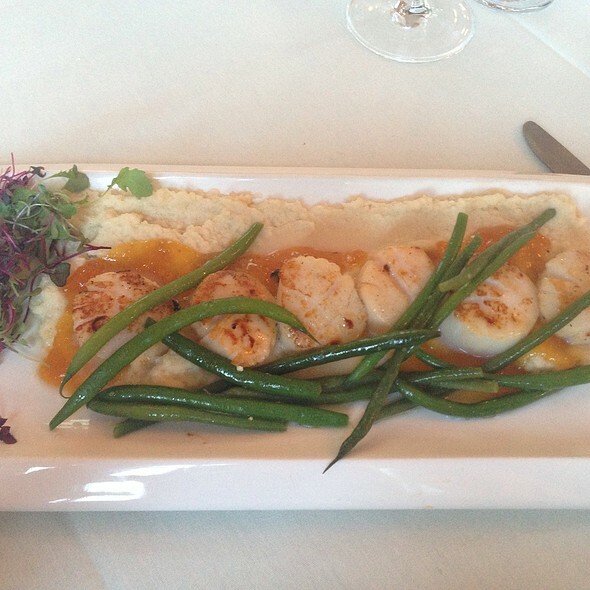 I particularly enjoyed the pan-roasted scallop special - the scallops moist and perfectly cooked. I would have preferred some different choices for salad dressings, such as balsamic vinaigrette. We had a delicious and very pleasant meal. Beautiful setting, lovely room, great food. Menu is a nice mix of traditional and more modern dishes. We we seat upon arrival by a very nice hostess. The dining room was bright and comfortable. Our server, DeBorah, was very friendly and knowledgeable about the menu. Food was fresh and very flavorful. We will return when in the area. 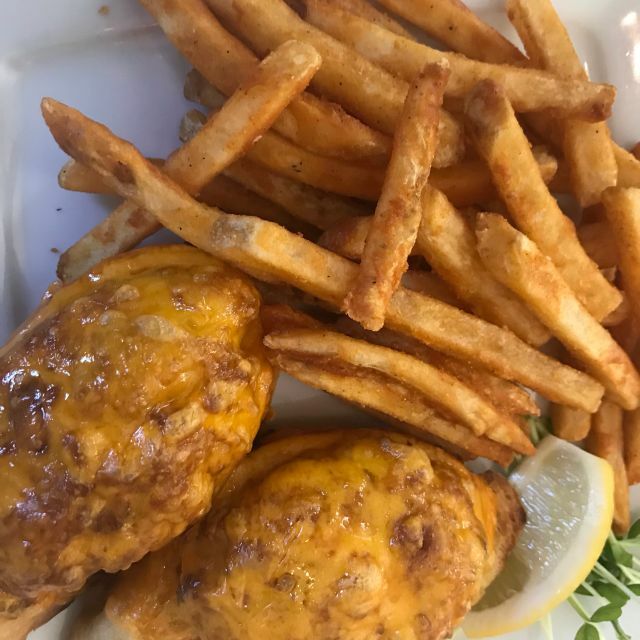 Immaculate, colonial era building along with well kept grounds and waterfront views of are a great start to another fine dining experience on the eastern shore of MD. Cream of crab soup, Waldorf salads, Filet, Scallops were enjoyed without any traces being left on the plates. The fried oysters needed another minute or two of cooking & somehow the bar was out of Dewar's White label scotch- they were they only demerits in an otherwise wonderful meal. We return to this gem of a restaurant several times per year by land and by boat. The food and service are consistently excellent. The food was amazing! Great service, and old-fashioned vibe. I highly recommend this place for a date or special occasion; you won’t be disappointed. Mrs had a filet and I opted for the scallops. Both agreed dinners, location and service were absolutely exception! Have had dinner at Osprey Point many times and it is always a very pleasant experience. Great restaurant with outstanding food and service. Our visit was during the off-season so it was pretty quiet. We also enjoy dinner here and highly recommend this restaurant. Well worth a visit! Fresh local ingredients well prepared. Nice ambience and great service. Osprey Point is tucked away on Swan Creek, a great location to see the moon rise. It is in a Colonial Williamsburg building that is also a lovely inn. The cozy atmosphere is supportive of a quiet dinner for two, as well as providing for a family group and social gatherings in between. The menu is reflective of the eastern shore location, with creative seafood and meat offerings. The moderate prices are well worth the splurge for a special occasion. Just a very relaxing atmosphere and great food! 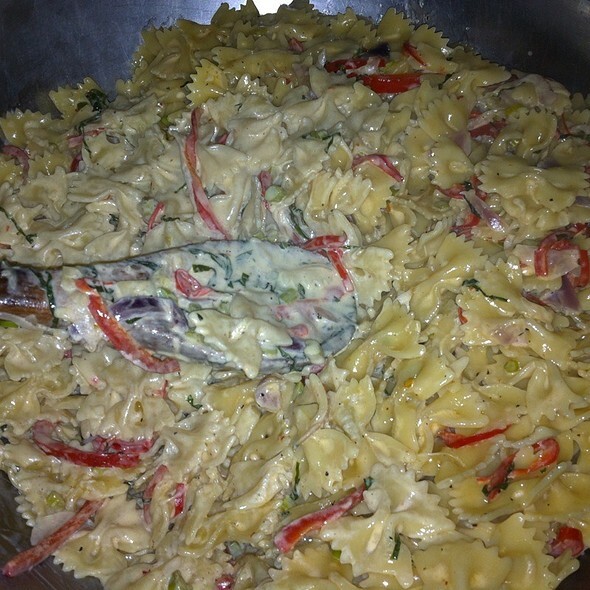 Service is always very good and servers are very knowledgeable as to menu selections, chef specials, and wine list. Food was excellent and the service was amazing! My husband and I were celebrating our 23rd Anniversary the Osprey made it very special. Special event for my wife and I was made even better by food and staff. I recommend for any special occasion. cocktail, they have a excellent bar maid, you will not be disappointed. Enjoyed her personality and her bravery, she was in the army seven years, one trip to Iraq, and two trips to Afghanistan. The Osprey is fortunate to have her. The Osprey has pleasant windows to view the scenery outside the windows, the drive into the Osprey is enjoyable. Upscale. My husband and I went here on our last evening in Rock Hall. So glad we did! Excellent seafood dinner, cocktails, and service. My husband has the scallops and I the rockfish. Both were made exceptionally well. We ate at the restaurant 2 years ago and it was very good. Our recent experience was not. My Rockfish was overcooked and more expensive than a similar restaurant in town., In addition, it would be nice to have seasonal vegetables as sides-tomatoes, peppers, corn. Overall, very expensive for the quality of food. We were pretty disappointed with many aspects of our visit to Osprey Point restaurant. The most obvious upon our arrival was that there was no scenic dining as had been indicated several places online. Instead, we walked directly into a dark room with absolutely no sounds (music, conversation, etc.) that looks more like a retirement home than a restaurant. We had a drink at the bar and then were seated two tables away from the nearest other dinners and directly across from the kitchen door. At least that provided some noise. We could tell from seeing our waitress while we were at the bar that she was not having a good night, but we were not prepared for her to first approach our table and great us with, "So, you want to order?" She waa pleasant enough after that, but not attentive. I ordered a salad and waited 10 minutes for someone to offer me freshly ground pepper. When someone did finally approach our table it was another server with our entrees. She asked if I was done with my salad and I pointed out that I hadn't even touched it yet because I was waiting for pepper. The entrees were fine, nothing special. Despite being so close to the water, neither the menu nor any specials represented a local, seasonal option and we figured it was not worth asking where our fish had been sourced. We skipped dessert. Overall, not awful, but we expected a lot more considering the price. We came in for an anniversary date and were nicely greeted and sat. The ambience was quaint and nice. We were celebrating our anniversary but sat next to a very noisy table (with a cute but noisy child). The crab and corn fritters were delicious but the rest of the meal was very disappointing. The rockfish was burnt and skin had to be removed. The scallops were very small and very chewy. I even asked about the scallops before ordering and were told they were good. In my opinion, they were not. For almost a 100 dollar dinner for two, we were just very disappointed in the experience and will not be back. Outstanding service. Excellent appetizers. Superb dinner. But dessert was so-so. We ate here while spending the night in the marina. Good wine selection and values. 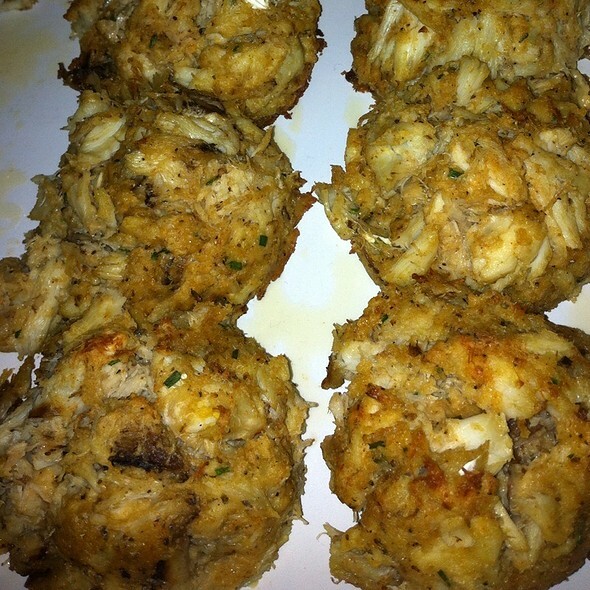 Corn crab balls were mostly filler. 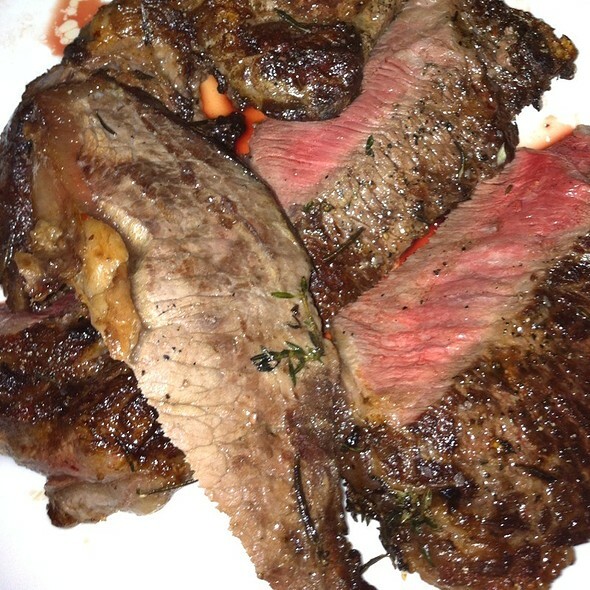 I ordered a filet mignon medium and it was past well done - completely brown and dry. Also ordered rockfish and it was cooked beyond recognition, completely dry. Great location, but until the food improves we will look for other options in Rock Hall. 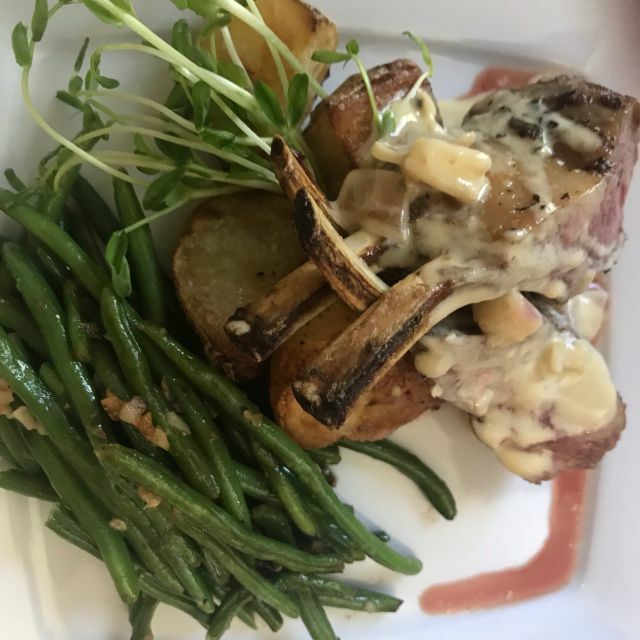 My husband and I have wanted to eat at the Osprey Point Inn for years. Having sailed to Rock Hall recently. we decided it was time to make sure we experienced the food there. We thoroughly enjoyed the food. It is creative and beautifully cooked. The wine I had from New Zealand was excellent. The rockfish with red pepper risotto was good. We especially enjoyed the clams as an appetizer. What a pretty setting inside and out. We took friends to Osprey Point as a celebration of their 50th wedding anniversary. We love the marina setting and casual atmosphere. The food is excellent. This is our fifth visit since moving to the area in October 2017 and we haven't had anything we didn't think was wonderful. The oyster and rock fish appetizers were really tasty. The shrimp and grits are the best I have eaten this side of New Orleans. The pork loin chop cannot be beat. The scallops are wonderful and the veal chop special was excellent. The service is just the right pace, not pushy but not so slow that you wonder where your waiter went. I highly recommend Osprey Point. Appetizers, crab cakes, and scallops were excellent. Fish was over cooked, but the kitchen remedied it. Overall a very nice dinner in a beautiful location. We will definitely return. Outstanding dinner. Food, service, wine all excellent. 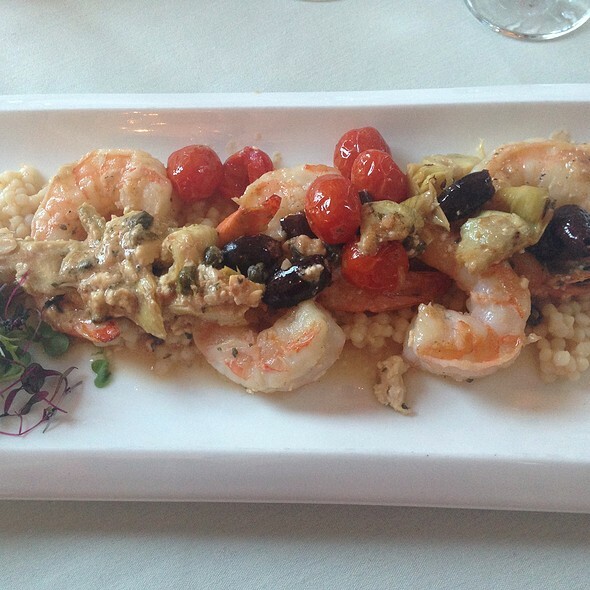 We had a great experience dining at the Osprey Point Restaurant. Comfortable atmosphere and splendid food. The staff is friendly and the restaurant offers a full bar. Upscale atmosphere, but not too pricey. Excellent crab soup! Healthy eastern shore fare. Everything was good until dessert. They were mediocre, and I could see the bottom of my coffee cup the coffee was so weak. Service was excellent, and the apps and mains were nice. Prime rib was quite good. First time there and won't be the last. The food was amazing-done to perfection. The service was outstanding.